While down double digits in the 4th quarter to the Brooklyn Nets — Doris Burke called out Amir Johnson, who was inactive for the game, and Joel Embiid for having a cell phone out and looking at text messages during a playoff game. Word got down to the Sixers and Johnson was sent back. 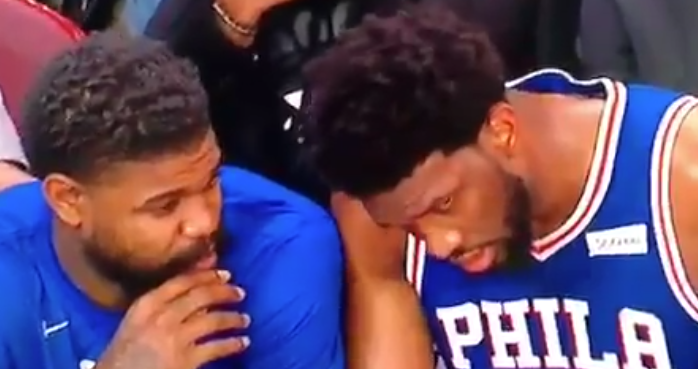 After the dust had cleared, Johnson was seemingly allowed back on the bench and appeared to inform Embiid that they had been caught using the cell during the game.